Charismatic seven-year old Summer gets a thrill out of sliding down the bright blue slide again and again at recess. So does her classmate, Monroe. Both first-graders like to sit and watch the birds fly after school, and Monroe brings cheese and crackers to eat at snack time every day just like Summer. In no time, the two become best friends despite the fact that Monroe has autism, which hinders his ability to communicate. 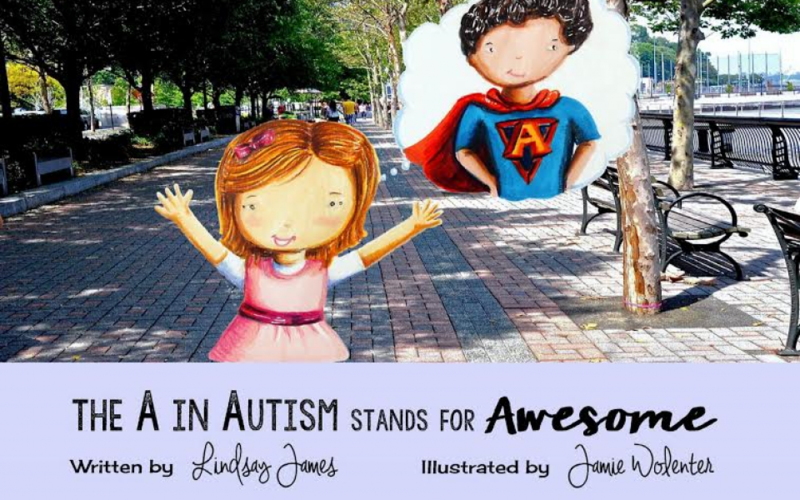 The uplifting story about embracing each other’s differences and individuality comes to life in Lindsay James’ book The A in Autism Stands for Awesome released on March 16. The author – a first-grade special-education teacher at James Madison Primary School in Edison –saw an overwhelming need for a resource teachers could use to further the discussion in the classroom about students learning about what autism is and how embrace kids with autism being mainstreamed. 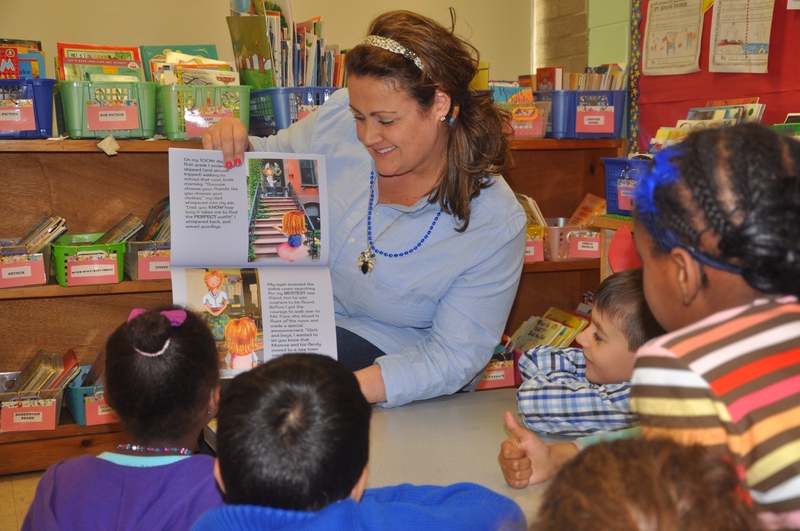 Students are lighting it up blue and blowing bubbles for Autism Awareness month in April, but teachers are still left with the challenging task of explaining what the developmental disorder is to students who may or may not have it. James’ narrative equips educators with literature that portrays autism positively and promotes acceptance in and out of the classroom. The 29-year-old teacher sees the rise in kids with autism coming into her inclusion classroom, the environment where the majority of high-functioning students on the autism spectrum are getting the opportunity to learn. The statistics prove James’ observation is correct. According to the Centers for Disease Control and Prevention, one in 68 students in the U.S. is diagnosed with autism and it is the fastest-growing developmental disorder in the U.S. 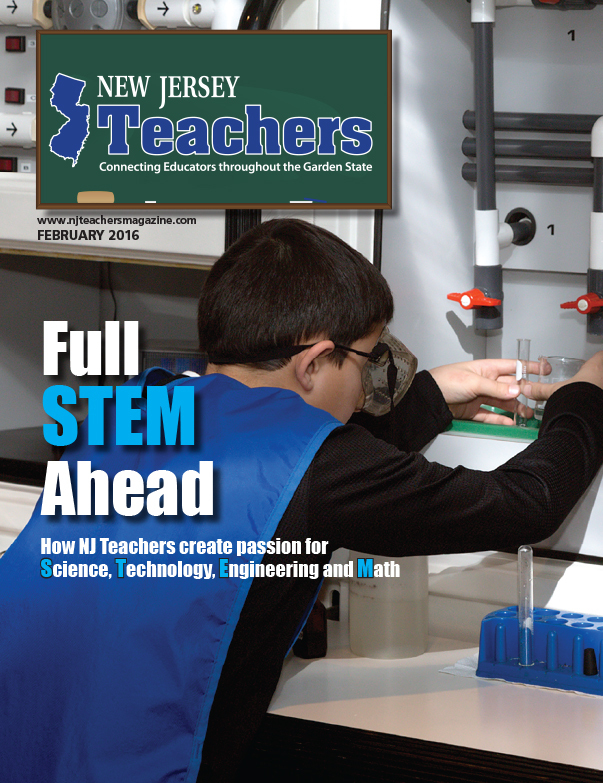 Being able to integrate students with autism has become a priority for many educators. So five years ago, James followed her teaching instincts and decided to write her own piece of literature that tackled the difficulties autistic students struggle with, such as repetitive behavior, social challenges and communication issues, in a way young students could relate. In the book, Monroe and Summer slide down the slide over and over again, and they have so much fun doing it, which addresses repetitive behavior an autistic student can exhibit, but puts a positive spin on it. The author tested out her material by reading Summer and Monroe’s tale of friendship to the most crucial audience first; her students. As a result of reading the book, students now approach James with questions rather than singling-out a student, just one of the many takeaways from the narrative. The most important message for students to grasp, she says, is one of acceptance. Two years ago, James’ fiancé passed away, which pushed her to elevate the story to a self-published book. James enlisted the help of her colleagues: art teacher Jamie Wolenter to illustrate and custodian Chris Kopac who used Photoshop to incorporate James’ photographs from the book’s setting on each page. “It incorporates everything meaningful in my life,” adds James, who based Summer’s father on her fiancé and the main character (Summer) resembles his daughter. In two weeks, the book has sold more than 100 copies, which is typical of the number of copies a self-published author sells in a book’s lifespan. 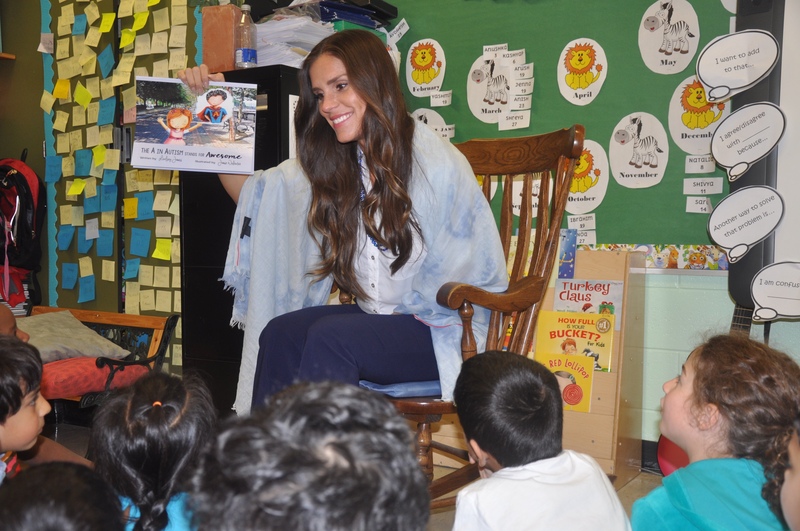 The teachers at James Madison Primary are more than supportive knowing first-hand what the book can accomplish in schools. 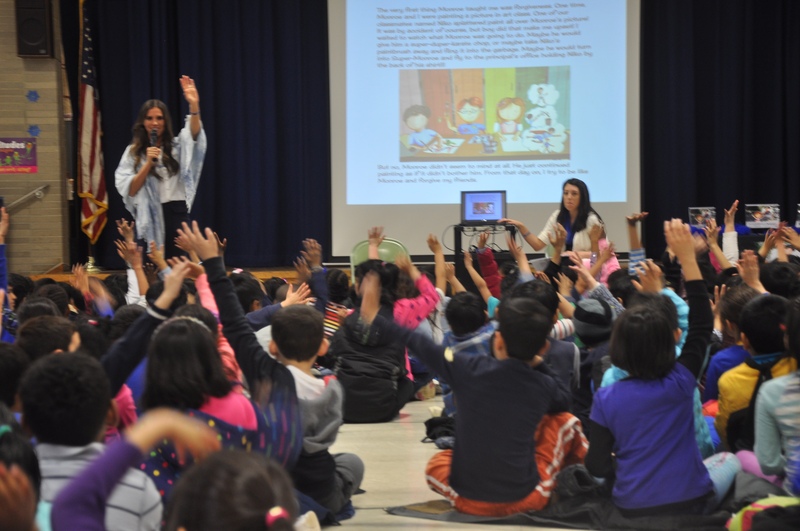 On April 6, James crossed off another item on her bucket list when she was introduced as an author for the first time during the school’s Autism Awareness Day assembly. A sea of students in blue swarmed the hallways on the way outside to blow bubbles in solidarity. Then James led a discussion about autism and a read aloud The A in Autism Stands for Awesome. 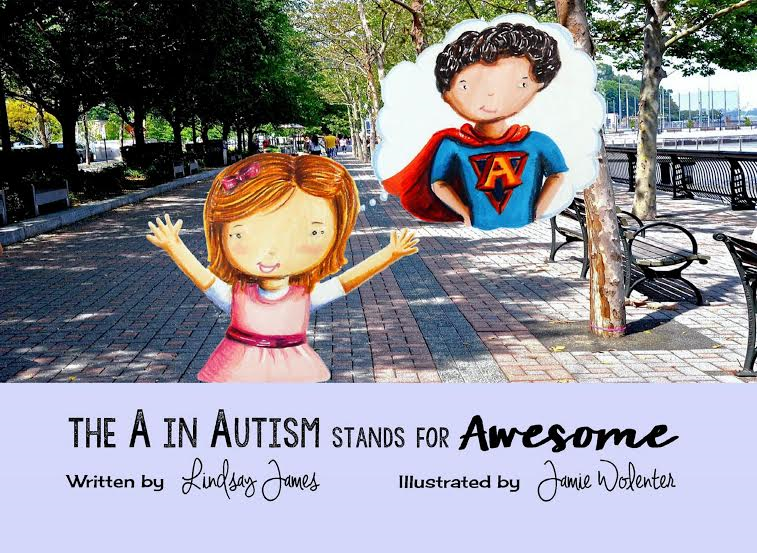 Purchase The A in Autism Stands for Awesome online at Amazon or Barnes & Noble.